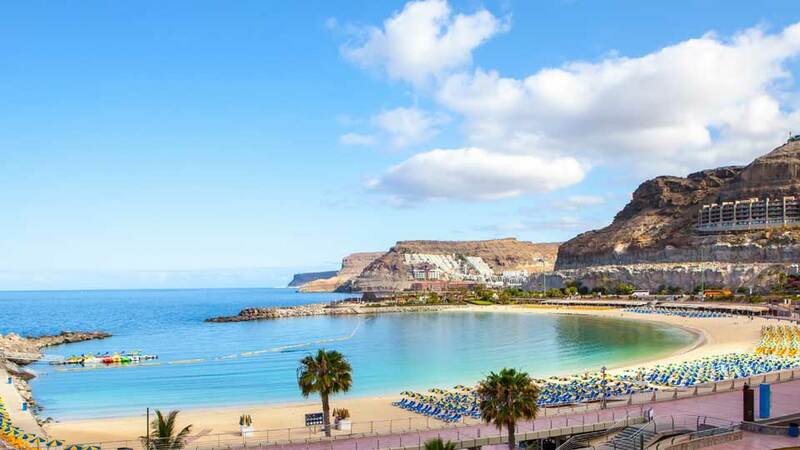 Known also as a miniature continent, Gran Canaria has so much more to it than being the third largest of the Canary Islands. The perfect blend of pristine beaches, ever changing dramatic landscapes, and diverse cultural heritage make it a dream European destination. With various historical ports, it has been a major intersection where influences across the globe met and mingled. This rare cultural brew, which took centuries to create, has been a key feature in the island’s way of living. Its well-preserved pre-Hispanic and colonial past extend to architecture, gastronomy, and religious traditions. Ancient volcanic eruptions gave birth to geological formations and subtropical mountains in Gran Canaria. Since then, a large part of its central territory is a UNESCO Biosphere Reserve. Coupled with a favorable climate, this makes the island a safe haven for a myriad of endemic flora and fauna in the Canaries. From high up on the pine-covered mountains, down to the sleepy seaside villages, there’s absolutely plenty to discover and things to do in Gran Canaria. The northeastern tip of the island is known for one of the best urban beaches, Playa de Las Canteras in the capital city of Las Palmas de Gran Canaria. Within the city, guests stepping on cobblestone streets of the old town of Vegueta are transported to the 15th and 16th century. Those who wish to travel further back in time may visit museums like Casa de Colon and Museo Canario. For a family-friendly and nature filled activity, the subtropical Palmitos Park is a must-see. In the northwest, we find the former capital city of Galdar, a place of historical and archaeological value. It is home to the ancient Cueva de Pintada or painted caves. Further down is the green town of Agaete, which covers the Flower Garden and parts of the Tamadaba Natural Park. Inland, travelers find themselves admiring the whitewashed colonial townhouses of Teror. 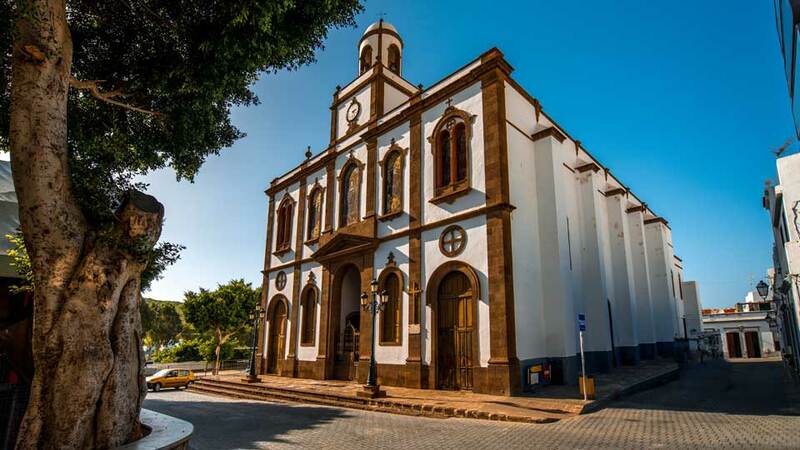 Marked as the religious center of the island, it houses an impressive Basilica dedicated to the Canary Island’s patron saint, Virgen del Pino. The most prominent remains of the volcanic activities that shaped Gran Canaria long ago towers at the center and beckon hikers. Its highest peak, Pico de Las Nieves, is set between the municipalities of San Bartolome de Tirajana, Tejeda, and Vega de San Mateo. From here, a short trip to the northwest reveals the famous Roque Nublo, a freestanding rock overlooking the huge caldera in the town of Tejeda. Also found in Tejeda is Roque Bentayga, a huge archaeological site that takes visitors back in time when natives still dwell in caves and offered sacrifices to the gods. To the east is the scenic city of Telde where more archaeological and religious sites are located. To the west is the old town of Artenara, the most elevated village on the island which also covers parts of the lush reserve of Tamadaba Natural Park. Amidst rolling hills, stunning cliffs, volcanic craters, and rich mountains, thousands of endemic plants and animals are sheltered in these regions. Down south, the dynamic dunes in Maspalomas are akin to that of the deserts in the Sahara. This protected landscape in the municipality of San Bartolome de Tirajana provides golden sand to the popular beach resorts of Maspalomas and Playa del Ingles. The other nearby man-made beaches of Puerto Rico and Amadores are also tourist favorites. Luxurious hotels, restaurants, bars, shops, and plenty of seafront accommodations welcome thousands of guests here each year. Circling the island is the cool waters of the Atlantic, home to various coastal wildlife. A closer look at this diverse marine life is possible from the sleepy village of Mogan, southwest of the island. Guests could choose among a plethora of water activities such as snorkeling, sports fishing, jet skiing, boating, and riding a submarine. Aside from its bountiful fishes, Mogan is also known as the island’s “Little Venice”, with the town beautifully adorned by waterways, narrow bridges, and flowered balconies.